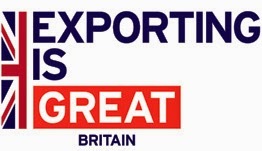 UK Trade & Investment will be holding its 6th Export Week during the week of 10-14 November. Across the week there will be a varied series of events all over the UK, aimed at businesses to either start their export journey or increase their international business. Previous Export Weeks have seen over 17,000 companies in the UK attend exporting focussed events. This week we will again have over 70 events across the UK; there will be at least one event per day in every part of the UK. The flagship road show, ExploreExport, will be touring the entire country at 11 venues across England, Scotland, Wales and Northern Ireland. Over 120 UKTI Trade Officers worldwide will be available for 1-2-1 meetings on their dedicated markets to help companies “explore” the possibilities of exporting to their countries. The aim is to bring the world to all parts of the UK.